Experienced Instructors. Hands-on Learning. On-site Dental Practice. Since 2008, Radiance Dental Assisting Academy has helped hundreds of students from Camas, Vancouver, Portland, Washougal, Oregon City, Tualatin, Beaverton, Gresham, Tigard, Hazel Dell, Hillsboro, and Battleground launch their Dental Assisting careers. Our experienced instructors create a fun, encouraging, exciting atmosphere where students can develop the clinical skills and personality needed to succeed as Dental Assistants. In addition to classroom training, Radiance Dental Assisting Academy offers the rare opportunity to observe real dental procedures at our on-site affiliated dental practice. However, there’s so much more to being a great Dental Assistant than hands-on skills. This is why our instructors focus on the human side of the dental field, focusing on empathy, helping patients relax, and maintaining a positive attitude. You’ll love learning at Radiance Dental Assisting Academy! We are a “POST SECONDARY EDUCATIONAL INSTITUTION,” Certified and Licensed by the State of Washington Workforce Training and Education Coordinating Board. Our License certifies that our school complies with the requirements of the Private Vocational School Act, chapter 28C. 10 RCW (Revised code of Washington “Private Vocational Schools Act”) and WAC 490-105. The Oregon Health Authority, Radiation Protection Services Approval: Radiance Dental Assisting Academy’s course has been approved and meets the requirements in the Agency’s OAR 333-106-0055 regarding radiation use and safety training. 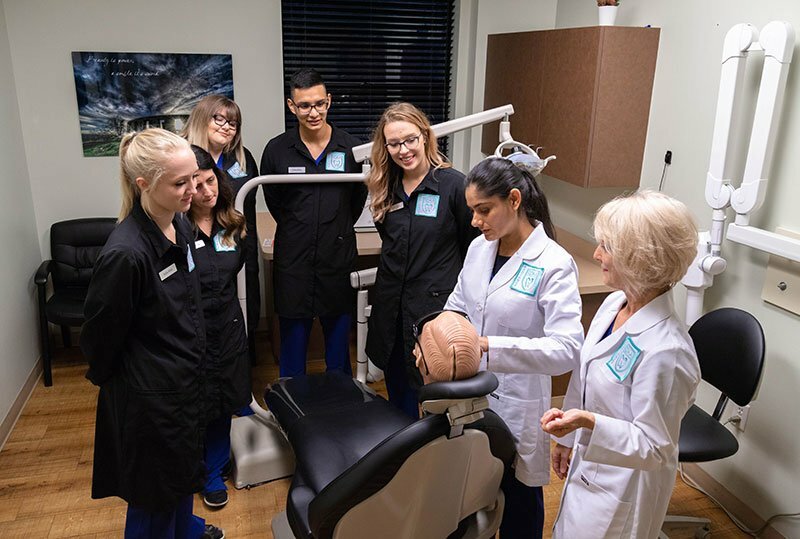 Upon completion of our course, Oregon state students or students wishing to work in the state of Oregon as a Dental Assistant, will be ready to take the Oregon State Radiologic Proficiency Examination administered by the Dental Assisting National Board. This exam is a requirement by the state of Oregon in order for a Dental Assistant to take radiographs or to perform expanded functions.